Toronto, Canada - July 10 - 14, 2016 - This is an exciting time for Microsoft as we celebrate our partners' successes, and announce new technology innovations and channel investments to help partners maximize their profitability potential in the year ahead. More than 90 percent of our revenues come through partners, and we're committed to helping them continually grow their business to meet the evolving needs of our mutual customers. Today, we are going to share new technology innovations we're delivering that will open up new opportunities for our partners. 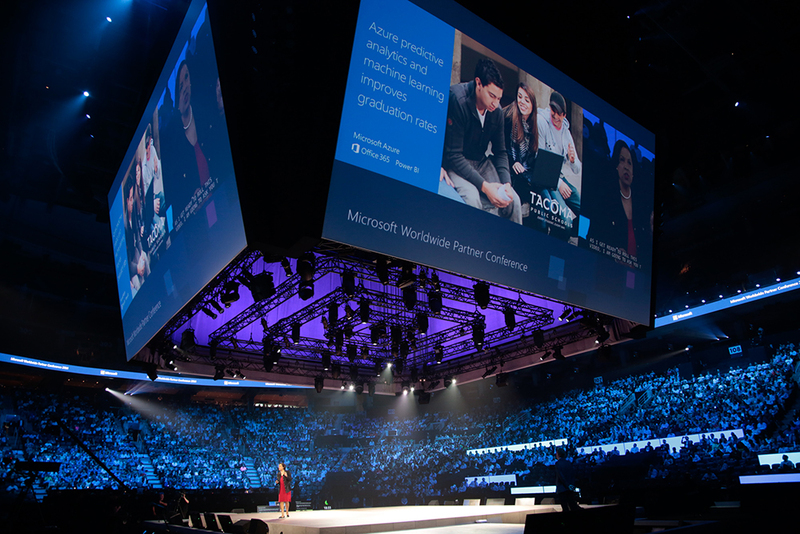 Corporate Vice President Microsoft Worldwide Partner Group Gavriella Schuster on stage at the 2016 Microsoft Worldwide Partner Conference (WPC). Change is the dominant factor driving societies forward. Nowhere is this more evident today than when you look at the quest for digital transformation in organizations of all sizes. To put it simply, the greater cloud market is changing how business gets done, and it presents a huge opportunity for our partners. Microsoft CEO Satya Nadella at the 2016 Microsoft Worldwide Partner Conference. 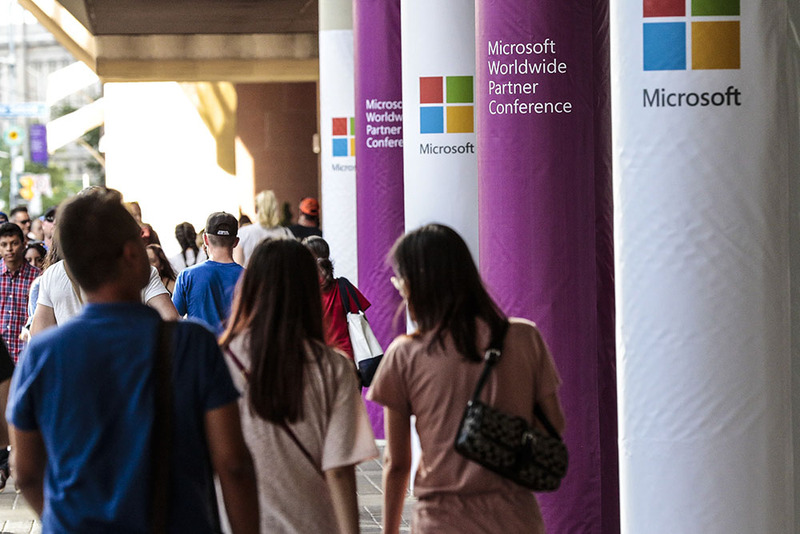 For the latest innovations that translate into business success, look no further than the Microsoft Worldwide Partner Conference (WPC). 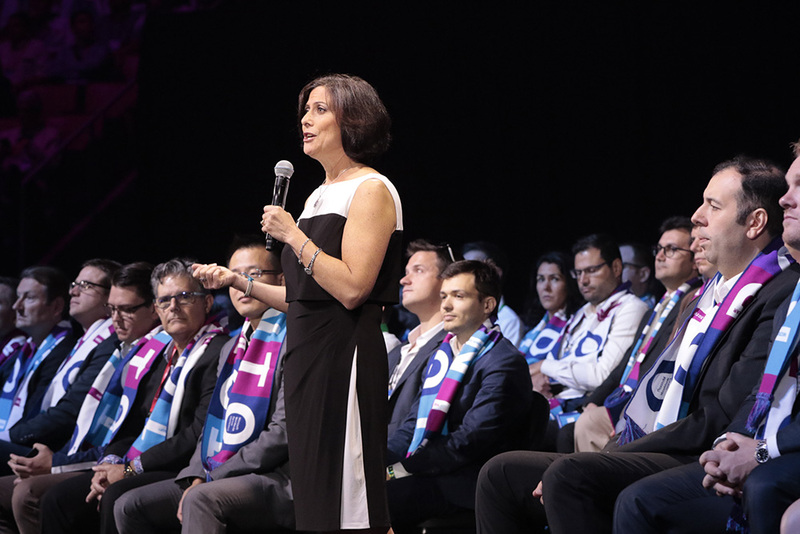 We’re into Day 2 of our annual event that is designed to inspire new thinking, spark new relationships and — most important — drive new business opportunities across our partner ecosystem. 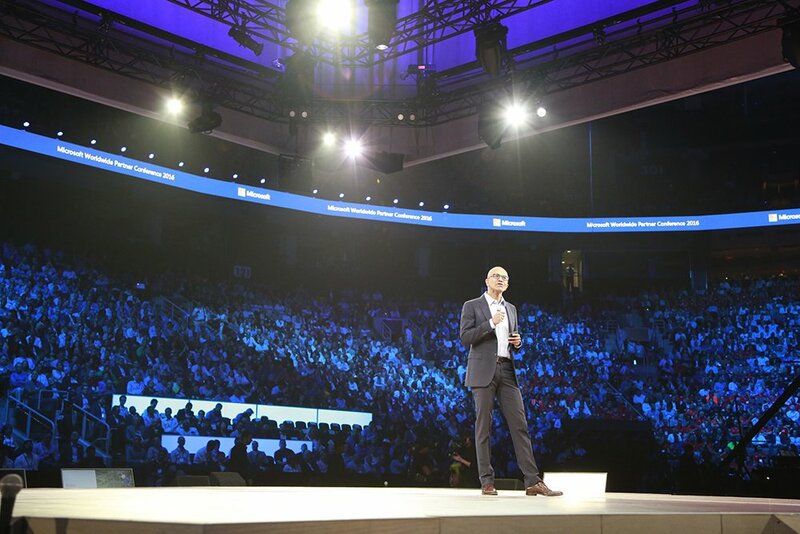 This is an exciting time for Microsoft as we celebrate our partners’ successes, and announce new technology innovations and channel investments to help partners maximize their profitability potential in the year ahead. 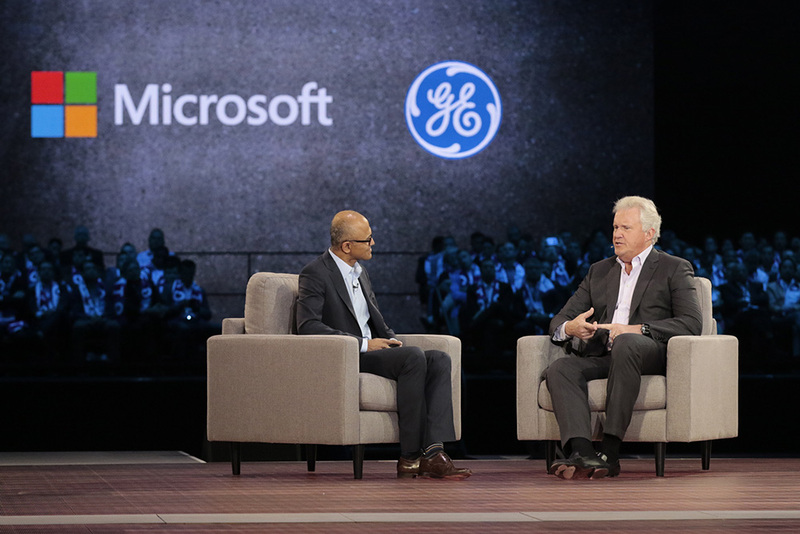 Microsoft CEO Satya Nadella with GE CEO Jeff Immelt at Microsoft WPC. More than 90 percent of our revenues come through partners, and we’re committed to helping them continually grow their business to meet the evolving needs of our mutual customers. Today, we are going to share new technology innovations we’re delivering that will open up new opportunities for our partners. Windows 10 momentum is unprecedented: Business customers are moving to it more quickly than any previous Windows release. More than 350 million devices now run Windows 10, and more than 96 percent of our enterprise customers are in active pilots. It is simply the most secure Windows ever, with easier IT management and productivity enhancements that come with Windows as a service. 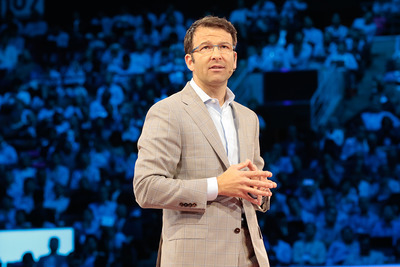 Judson Althoff, Microsoft Executive Vice President Worldwide Commercial Business, at WPC. In fact, based on a study we commissioned with Forrester, Windows 10 customers are already experiencing improved productivity and cost savings resulting in an average ROI of 188 percent with a 13-month payback. Not only is Windows 10 more capable than ever of helping people and businesses be more productive, it also represents new opportunities for our partners. To help more customers enjoy the benefits of increased security, simplified licensing and partner-managed IT, today we’re announcing Windows 10 Enterprise E3 for CSP. Starting this fall, businesses can get enterprise-grade security and control at just $7 a seat per month for the first time through the Cloud Solution Provider channel. Facebook Chief Information Officer Tim Campos on stage at Microsoft WPC. This subscription is ideal for businesses that do not have dedicated IT resources or have limited IT staff, and want their licensing and IT needs managed by a trusted and experienced partner. CSP is our strongest go-to-market offering yet and has been growing at an incredible rate with more than 17,000 partners now transacting in the year since we launched the model at WPC 2015. Partners selling through CSP will now be able to offer their customers our full stack of services and subscriptions, including Windows 10, Office 365, Microsoft Azure and CRM subscriptions through a single partner with one user account, one point of contact for support and one simplified bill. On the devices side, Surface and Surface Hub continue to catalyze business transformation. 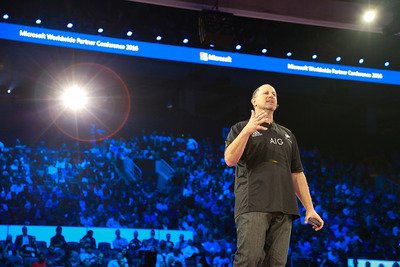 Steve Guggenheimer, Corporate Vice President and Chief Evangelist, Developer Experience and Evangelism Group at Microsoft WPC. New partnerships with IBM and Booz Allen Hamilton are meeting customer demand for Surface devices and tailored business solutions for the financial services, consumer packaged goods, government and healthcare industries. 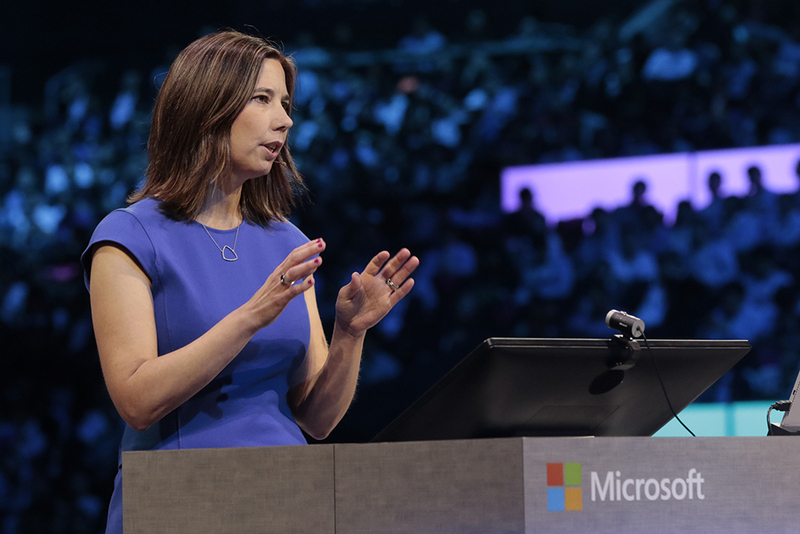 We’re also making it easier for companies to adopt Surface with the introduction of new flexible purchasing options including a Surface as a Service offering via the CSP channel and in conjunction with the new Windows 10 Enterprise E3 programs. 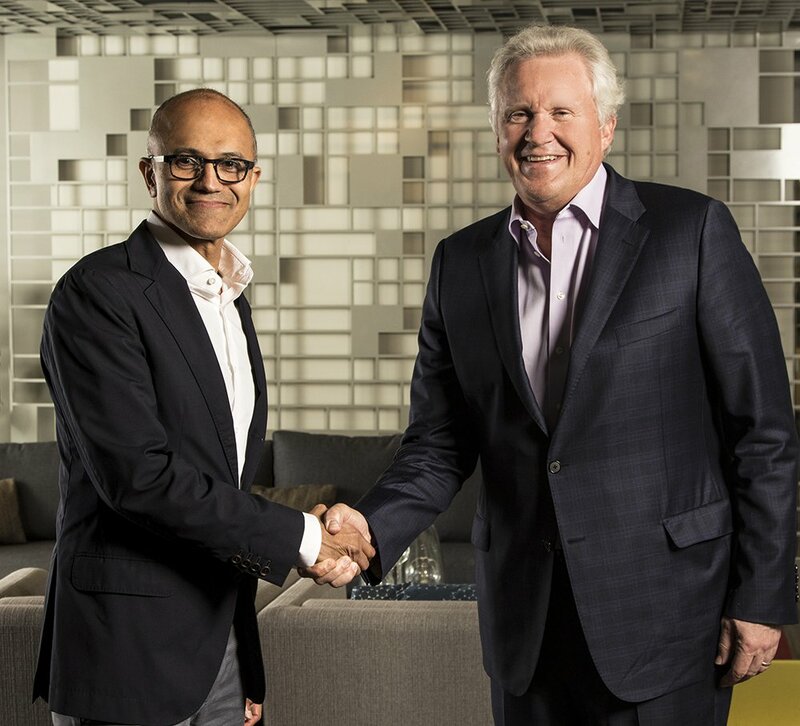 With Surface as a Service we are empowering partners to offer their customers the world-class capabilities of Surface devices and Microsoft Cloud Services as part of their managed services offerings. Toni Townes-Whitley, Corporate Vice President, Worldwide Public Sector at Microsoft WPC. 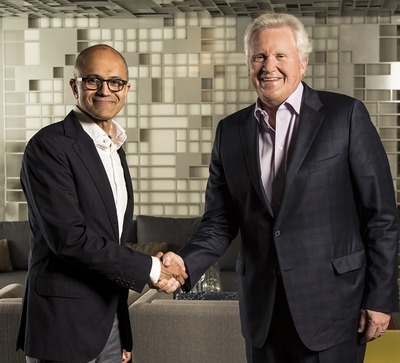 Surface as a Services will help us provide customers the power of Surface devices, helping them transact, manage and deploy Surface with the flexibility dynamic businesses need. Also, customers with the Surface subscription offering can enjoy world-class enterprise fulfillment and support with Surface’s new global reseller program. Yesterday, we talked about how Japan Airlines is revolutionizing the way flight crews and mechanics are trained through the use of HoloLens. 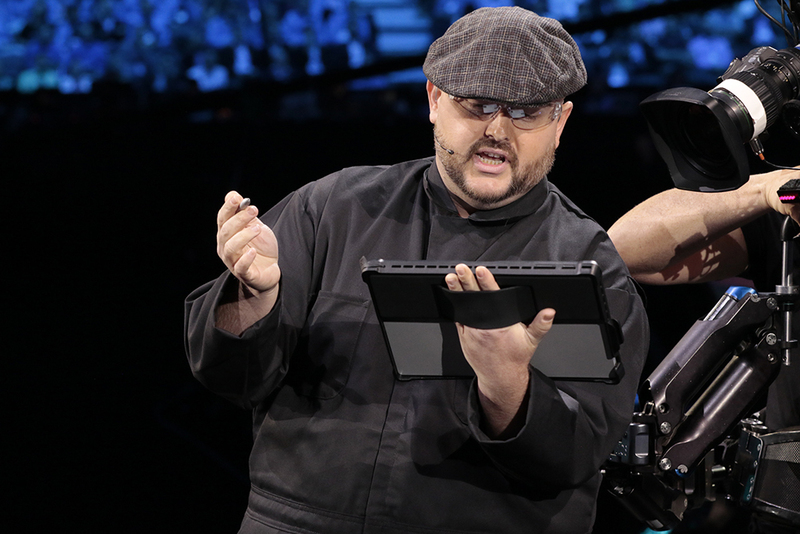 The opportunities with HoloLens and our partners are limitless. 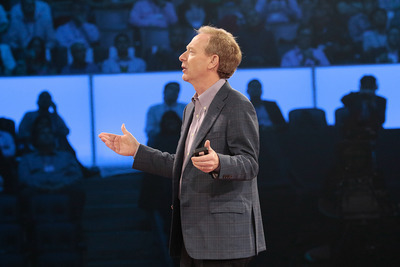 Microsoft President and Chief Legal Officer Brad Smith at WPC. On stage at the conference today, Yusuf Mehdi showed another great example of how one of our partners, Taqtile, worked with the PGA TOUR to build out the iconic TPC Sawgrass championship course to enable golf pros, enthusiasts and fans to experience golf events in entirely new ways. The move to the cloud is accelerating at a record pace and we are gaining nearly 120,000 new Microsoft Azure subscriptions a month. To help companies further capitalize on this opportunity, today we shared that Windows Server 2016 and System Center 2016 will launch at Microsoft Ignite this fall. Microsoft Corporate Vice President of Office Marketing Kirk Koeningsbauer at WPC. This new version of the enterprise operating system customers know and love, has been dramatically refactored to help you embrace the cloud-first world, but still retains the familiar — but improved — enterprise features you trust your business on. To help customers transform their business through intelligence, today we’re also announcing the general availability of Azure SQL Data Warehouse which delivers the true promise of cloud elasticity to data warehousing, saving time and money compared with competitive solutions. To give an idea of the benefits, a data warehouse can be provisioned in 3‒5 minutes and scale in seconds to meet demand while the SQL-based view can unlock intelligence for all your data, across structured, unstructured, on-premises and cloud, using tools you already have like Power BI and Microsoft Excel. It also has auditing and threat detection built in, which use machine learning to understand workload patterns and serve as an advanced alarm system against potential breaches. 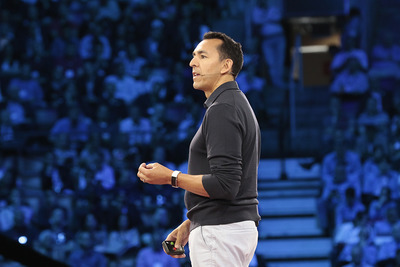 Yusuf Mehdi, Microsoft Corporate Vice President, Windows and Devices Group, at WPC. 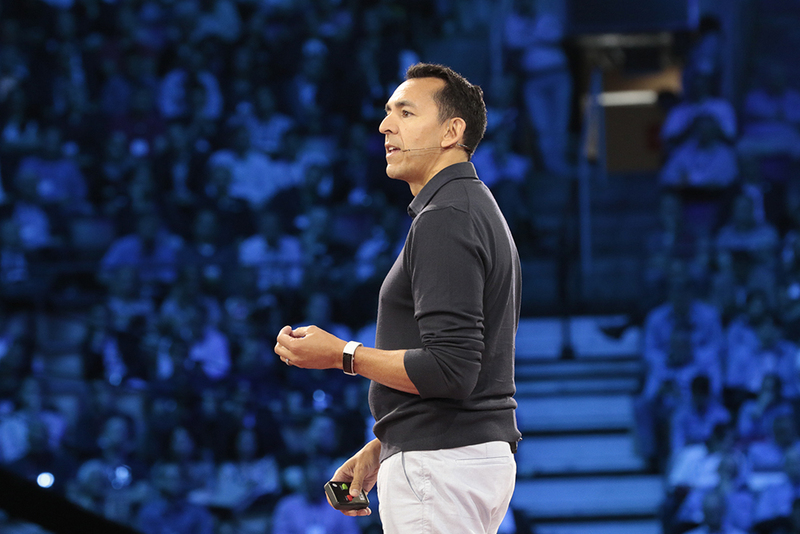 As we shared yesterday, many of our partners are using the power of Azure in their quest for digital transformation. 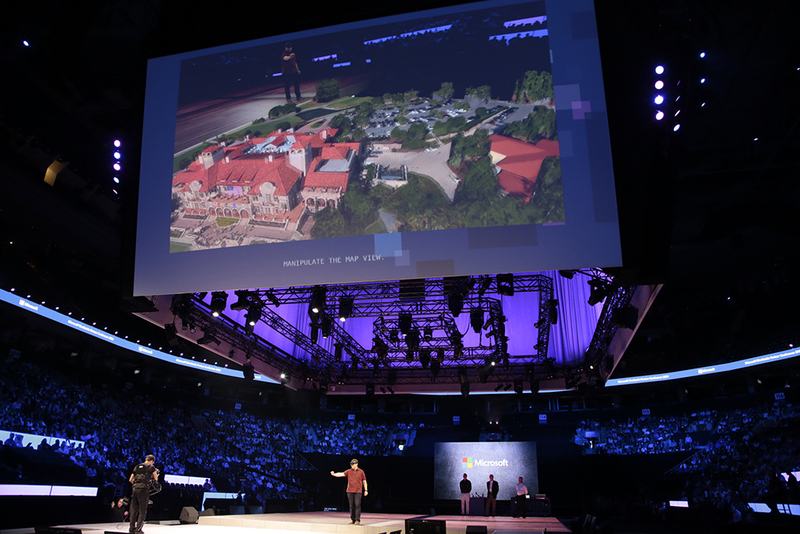 Another great example that was shown onstage at WPC is Schneider Electric, which is working with Microsoft to power life-changing solutions worldwide. Notably, Schneider Electric is using Azure to bring sustainable solar power to more than 170 schools and clinics in Nigeria. Bryan Roper demos at Microsoft WPC. Through the Internet of Things and cloud-connected energy solutions, efficient and reliable power is brightening the future for millions. Enterprises are dealing with major disruptions in the way they work, with the proliferation of mobile devices, the explosion of data, a growing number of millennials in the workforce, and the ever-evolving landscape of threats to data security. 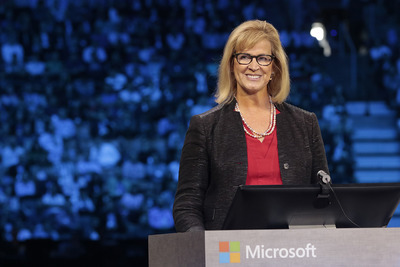 Kelly Malone, Vice President, Product Management, Taqtile demos at Microsoft WPC. Partners have a tremendous opportunity to help customers navigate this time of digital transformation. 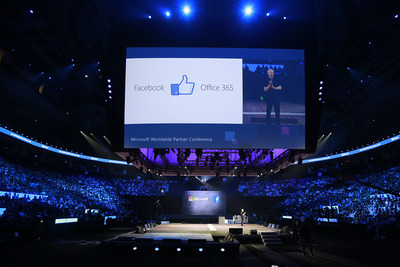 And there has never been a better time for partners to bet their business on Office 365. Facebook is among the latest enterprises to deploy Office 365 — for its more than 13,000 employees globally. The goal: have the most productive workforce possible and empower continual innovation through collaboration. Office Marketing General Manager Catherine Boeger at Microsoft’s WPC. 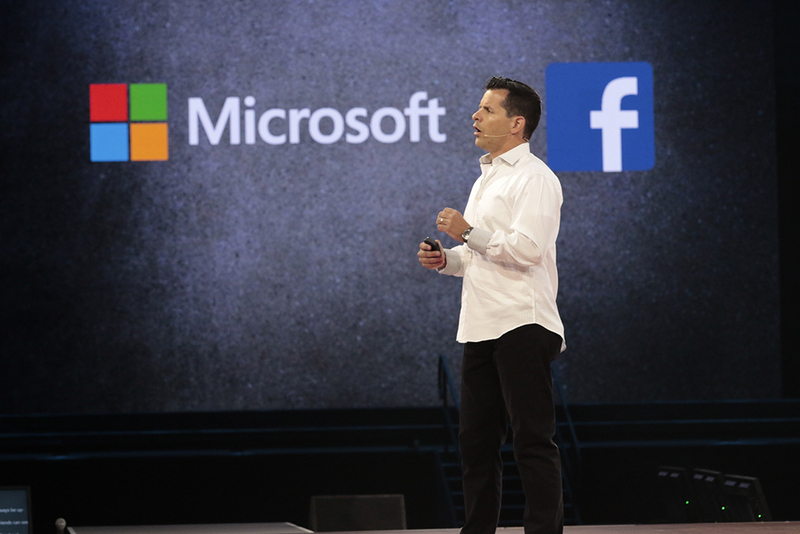 Facebook CIO Tim Campos joined Kirk Koenigsbauer onstage to talk about why Office 365 make sense for the company. With its mobile workforce, Facebook demands that its IT be flexible and available over the web, on mobile and across platforms. Enabling this mobility requires a secured environment to defend against cyberattacks. Office 365 does just that, boosting productivity with powerful new capabilities for employees, such as Delve and Focused Inbox, which allow for a new level of intelligent collaboration. 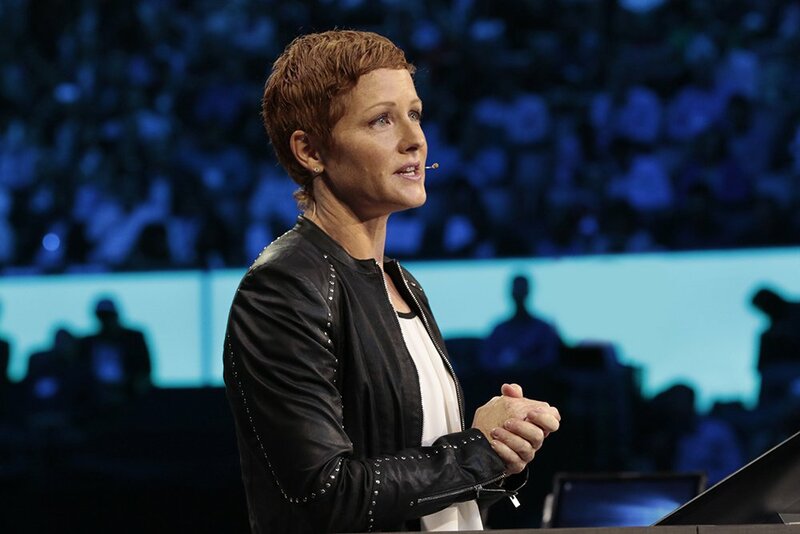 Julia White, General Manager, Cloud Platform, speaks at Microsoft WPC. Enterprises are also rediscovering the fundamental role real-time communications plays in overall productivity, and are turning to Skype for Business in Office 365 to modernize the way their employees connect with one another. Real-time communications technology is a $47 billion market opportunity, and the demand for modern communications technology is unprecedented. To help partners accelerate their cloud offerings, we have built the Skype Operations Framework, an end-to-end deployment methodology for partners to deliver Skype for Business Online to their customers — essentially a blueprint for a new practice area, which translates into new business opportunities. 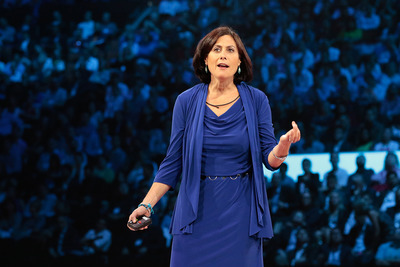 Microsoft Canada President Janet Kennedy on stage at WPC. We continue to expand the geographic availability of Skype for Business meetings and voice services in Office 365, adding PSTN Calling in the U.K.
And we’ve expanded PSTN Conferencing to additional countries, making Skype for Business PSTN Conferencing dial in capabilities available in over 90 countries. 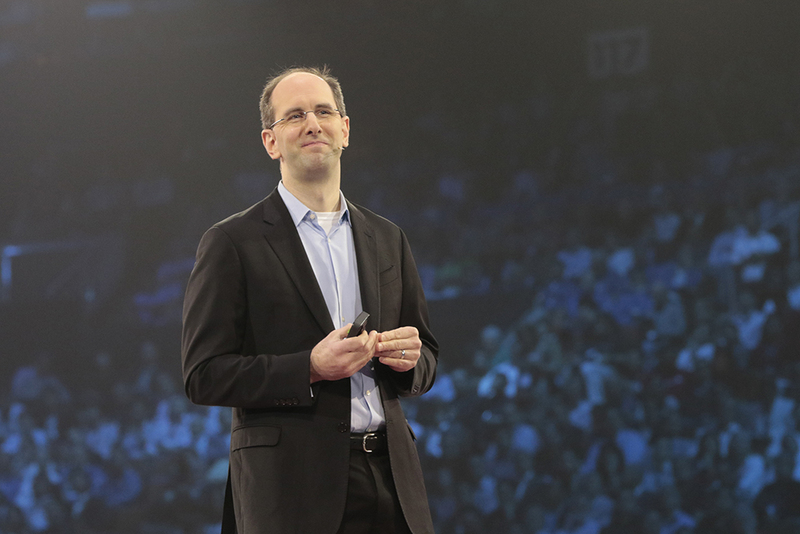 Scott Guthrie, Microsoft Executive Vice President, Cloud and Enterprise at WPC. In addition, drawing on the computing power of Azure and translation capabilities of Bing and Cortana, we will deliver a preview of automatic transcription and translation for Skype Meeting Broadcast to Office 365 customers by the end of 2016, providing live closed captioning of a presentation with translation from a list of supported languages. Of course, these are just some of the new technology innovations we’re delivering this year that will open up additional opportunities for our partners. 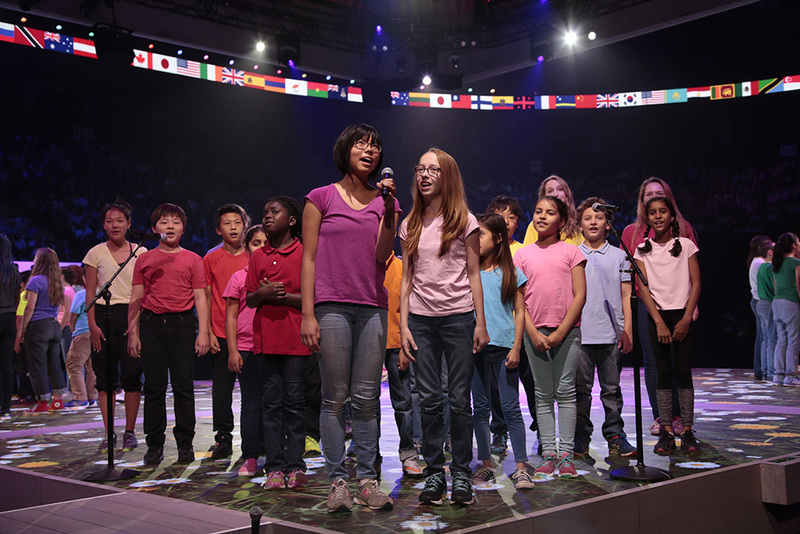 Canadian Children's Opera Choir at Microsoft WPC. Later this year, we will also be introducing a new licensing model called Secure Productive Enterprise (SPE), a next-generation enterprise solution that brings together the best of Office 365, Windows 10 Enterprise and Enterprise Mobility Suite with advanced E5 SKUs. SPE will make it easier for customers to take advantage of enhanced productivity and security, while offering them additional licensing flexibility between their on-premises and cloud technologies. 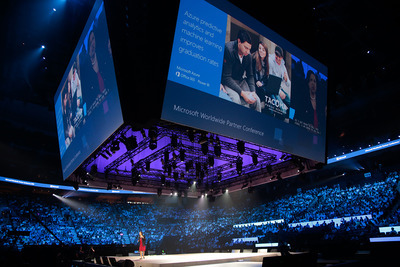 This year’s Microsoft Worldwide Partner Conference, July 10 - 14 in Toronto. The per-user offer will include productivity server rights and Office Pro Plus to support our many customers deploying hybrid on-premises and cloud solutions. My ask to our partners is to take advantage of all the great innovations, tools and resources to grow your business in the coming year. I’m looking forward to the explosive growth we’ll see across our partner community, and can’t wait to check out the creative implementations you will bring to our mutual customers. Microsoft CEO Satya Nadella, left, with GE CEO Jeff Immelt. If you like what you’re hearing but aren’t yet working with us, come join our partner network where you can engage with hundreds of thousands of partners with business models encompassing resale services, project services, managed services and IP services, or some combination of all four. There’s a reason we have one of the largest partner communities in the industry. Find out what you’ve been missing today. Gavriella Schuster, Corporate Vice President, Microsoft Worldwide Partner Group with Partner of the Year Award winners.